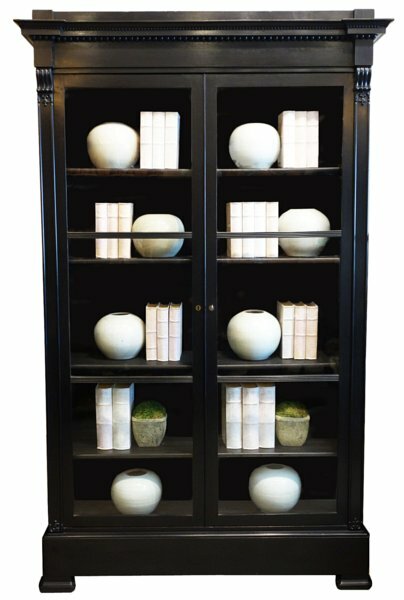 Ebonized wood with antique 6 panel glass doors. 4 adjustable shelves. Original hardware, locks and key.